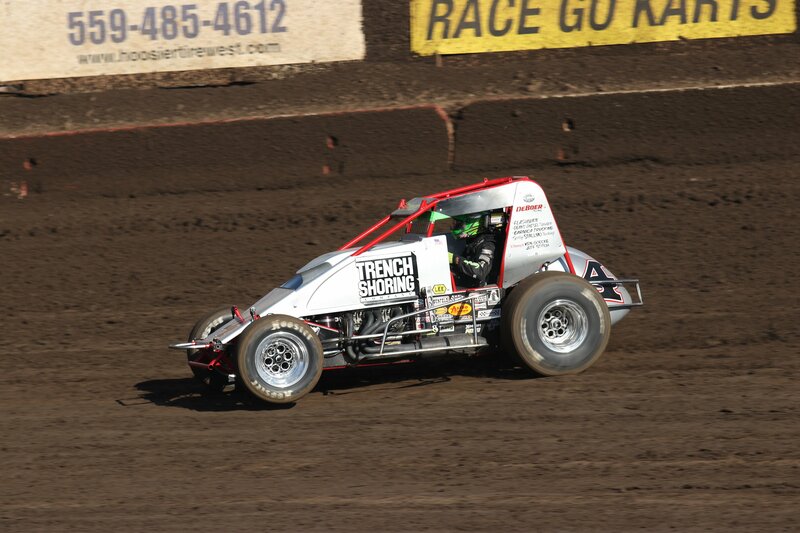 Justin Grant piloted the Reinbold/Underwood Motorsports car to a USAC/CRA win on Saturday night. This USAC/CRA season is shaping up as one of the better years in recent memory. 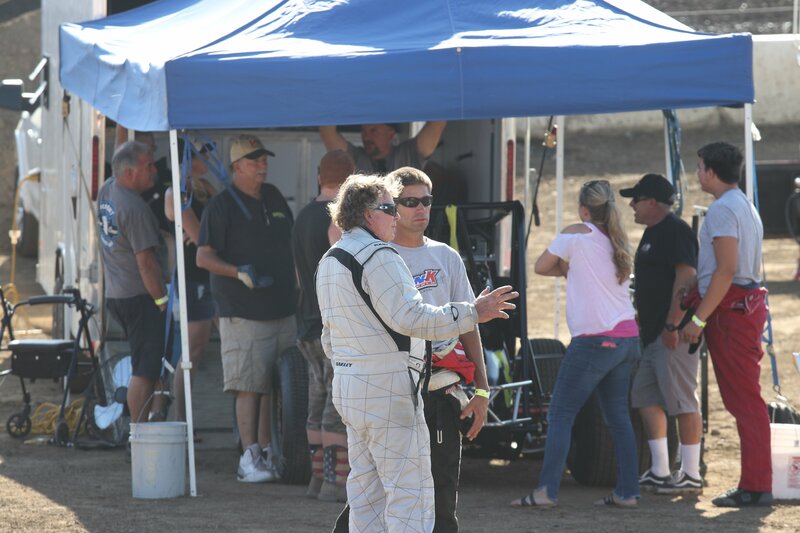 With Justin Grant venturing out to drive for the Reinbold/Underwood team and Matt Mitchell emerging from hybernation, things are getting really interesting. Mitchell announced his return by setting quick time in qualifying, which surprised no one because Mitchell has always been quick on the half mile oval. The Reinbold/Underwood team battled through several hauler maintenance issues just to get to the track on Saturday, which sent a clear message to the other teams… they were serious about racing. Now calculate the top three in points in the CRA standings are only 29 points apart from top to bottom, and you can see how the year is shaping up. Damion Gardner currently leads the point standings with two wins, but series regulars Austin Liggett, Brody Roa, and Austin Williams have also scored wins in this young season. Grant’s win on Saturday night helped keep the point race tight and gave the bench-racers like us something to talk about. Grant had to work for the win, battling with Damion Gardner most of the race. The Demon lead early until Grant was able to slide by Gardner on lap 12. Gardner challenged Grant lap after lap, finally regaining the lead on lap 24 of the 30 lap event. The lead was fleeting however as Grant took control again on lap 24 and started to inch away from the field. Gardner finished second with Brody Roa, Austin Williams, and Jake Swanson following. The crowd left the facility that night feeling that anyone in that top five could win on any given night in the series. That’s the way every season should present to the fans. WOODLAND AUTO DISPLAY QUALIFICATIONS: 1. Matt Mitchell, 34AZ, Grau/Burkhart-16.710; 2. Austin Williams, 2, Jory-16.770; 3. Justin Grant, 19, Reinbold/Underwood-16.777; 4. Jake Swanson, 92, Sertich-16.794; 5. Logan Williams, 5, Jory-16.799; 6. Damion Gardner, 4, Alexander-16.814; 7. Brody Roa, 91R, BR-16.887; 8. Cody Williams, 44, Jory-16.975; 9. Max Adams, 5M, Adams-17.081; 10. Matt Rossi, 02, Rossi-17.090; 11. Chris Gansen, 4G, Gansen-17.144; 12. A.J. Bender, 21, Bender-17.365; 13. R.J. Johnson, 42, Cheney-17.402; 14. Randy Waitman, 90, Waitman-17.506; 15. Trent Williams, 52V, Williams-17.556; 16. Verne Sweeney, 98V, Tracy-17.570; 17. Matt Stewart, 23, Bellegante-17.624; 18. Tommy Malcolm, 5X, Napier-17.852; 19. Tye Mihocko, 5T, Mihocko-17.991; 20. Jeff Dyer, 39, Cal-Sun-17.18.035; 21. Tony Everhart, 55, Everhart-18.132; 22. Gary Marshall Jr., 72, Marshall-18.207; 23. Joel Rayborne, 12B, Blair-18.469; 24. Austin Ervine, 51, AJ-20.562. CIRCLE TRACK PERFORMANCE/ROD END SUPPLY SECOND HEAT: (10 laps) 1. Gansen, 2. L.Williams, 3. A.Williams, 4. Stewart, 5. C.Williams, 6. Waitman, 7. Dyer, 8. Rayborne. 2:57.44. KEIZER ALUMINUM WHEELS/ROD END SUPPLY THIRD HEAT: (10 laps) 1. Gardner, 2. Malcolm, 3. Grant, 4. T.Willliams, 5. Adams, 6. Bender, 7. Everhart, 8. Ervine. 2:54.08. FEATURE LAP LEADERS: Laps 1-2 L.Williams, Laps 3-11 Gardner, Laps 12-23 Grant, Lap 24 Gardner, Laps 25-30 Grant.